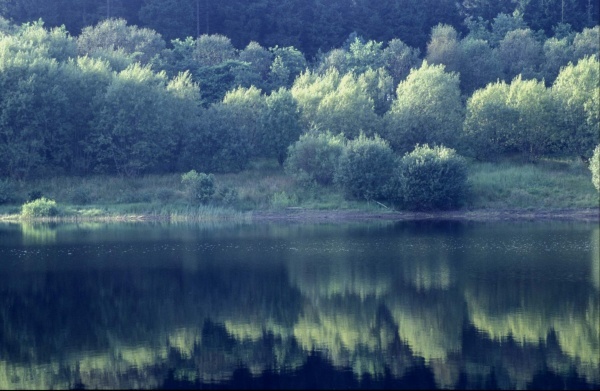 An important place for viewing wildlife with fine views across Bakethin Nature Reserve to the north and west and across the main body of Kielder Water to the south and east. Look for the former Border Counties railway on the north shore of Bakethin. Most of the railway track bed in this area now lies under water. On the north west skyline is the communications tower which sits on the summit of Deadwater Fell (the highest point in the area), the source of the River North Tyne river and part of the exhilarating Deadwater mountain bike trail network. Kielder Column, one of the pieces of work which make up the Kielder Art & Architecture programme, is located on the south corner of Bakethin Weir.